Wouter Dam (Personal show 2017). 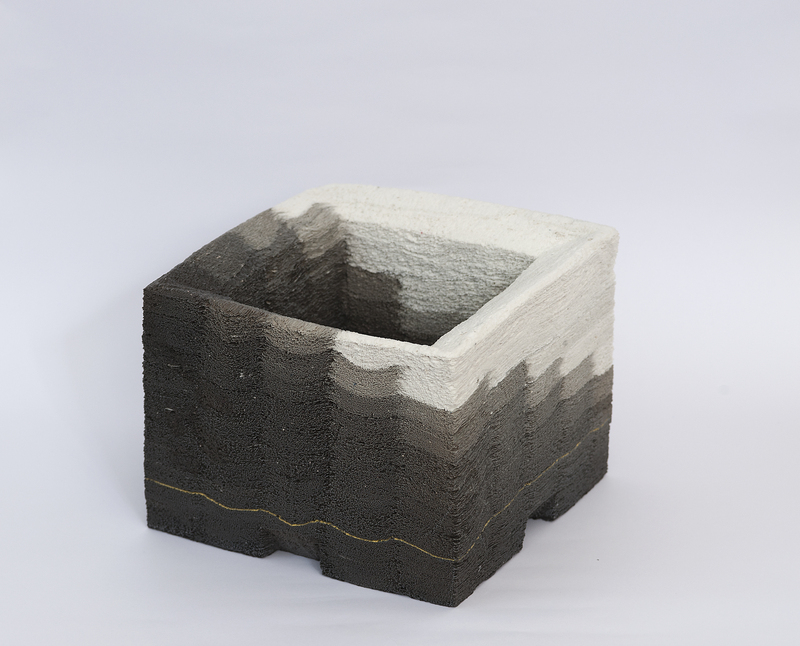 Jongjin Park (South Korea -1982) investigates the remarkable ability of ceramics to deceive the eye. By experimenting with layering paper and porcelain slip, he has created giant millefeuilles which are at once delicate, strong and have an almost wood-like quality. In using fragile paper and ‘hard’ porcelain slip, he’s is able to manipulate your senses and makes you wonder what is real? 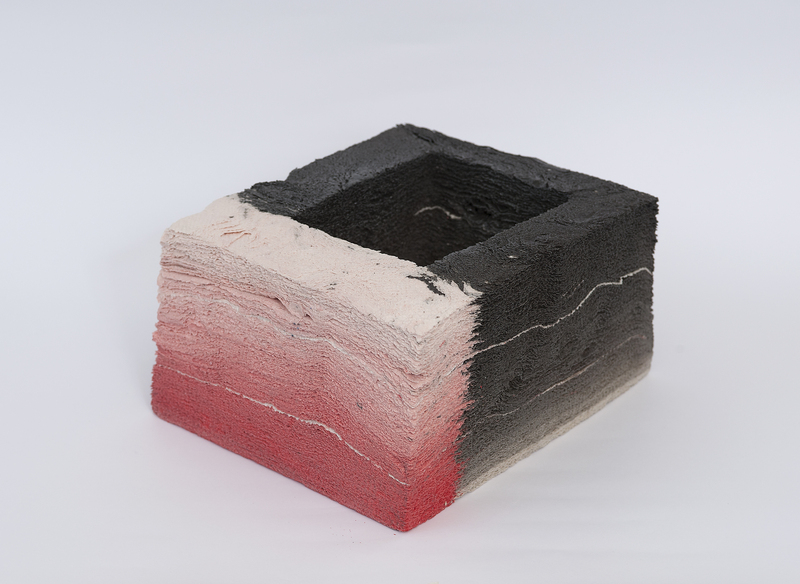 Park already had a strong foundational knowledge of ceramic properties and techniques, when he decided to integrate the use of paper into his ceramic work. He was looking for ways to make ceramic imitate other materials. The sculptural forms he creates are full of vulnerability and duplicity, and hover between the spontaneous and the deliberate. The colours he uses add another dimension of surprise to the texture: soft pastels, shady greys and whites and cobalt blues make for a delicious feast as if these pieces are edible after all. 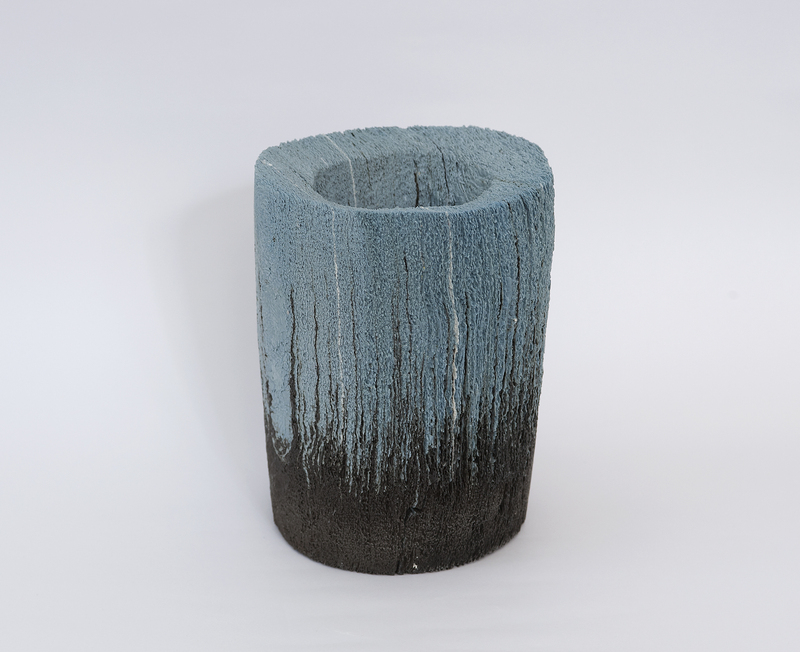 Born in Korea Park received his MA in Ceramics at Cardiff Metropolitan University, and is currently pursuing a PhD in Ceramics at Kookmin University, Seoul. His exhibitions include the Santorini Biennale of Arts, Santorini, Greece, R.E.D, Arton gallery, Singapore, Ceramic Museum, Korea and the 7th Cheongju International Craft Competition in 2011 for which he was awarded the Gold Prize.